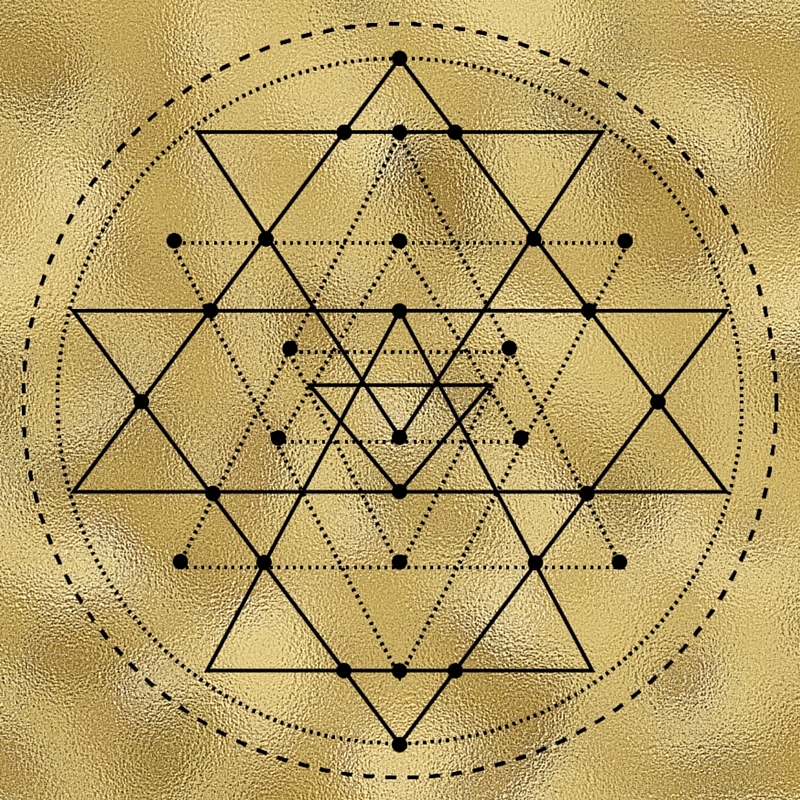 Sacred Geometry can be described as the architecture of energy, it has also been referred to as the language of light. In human history philosophers and scientists have been trying to make sense of the earth and the universe of which we are all a part. When measurements and ratios were taken of the planets, stars and their movements the resulting numbers created patterns that were precise and ordered. It was also discovered that the structure of the universe is replicated in all things. 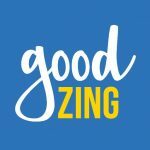 The exciting part of this for you is that you don't have to go very far to gain the wisdom of the universe, it is all hardwired in you, all you need to do is to discover it within yourself. This course and the ones that will be developed in the future, will help you to find the keys to discovering who you are at your most Divine level. He who knows others is wise, he who knows himself is enlightened! These images and symbols are recognised by you on a DNA level, because they represent the architecture of who you are at your innermost level. By meditating on them you tap into something subconscious yet profoundly magical. I am excited about the dimensions that these symbols will add to this journey we take together. 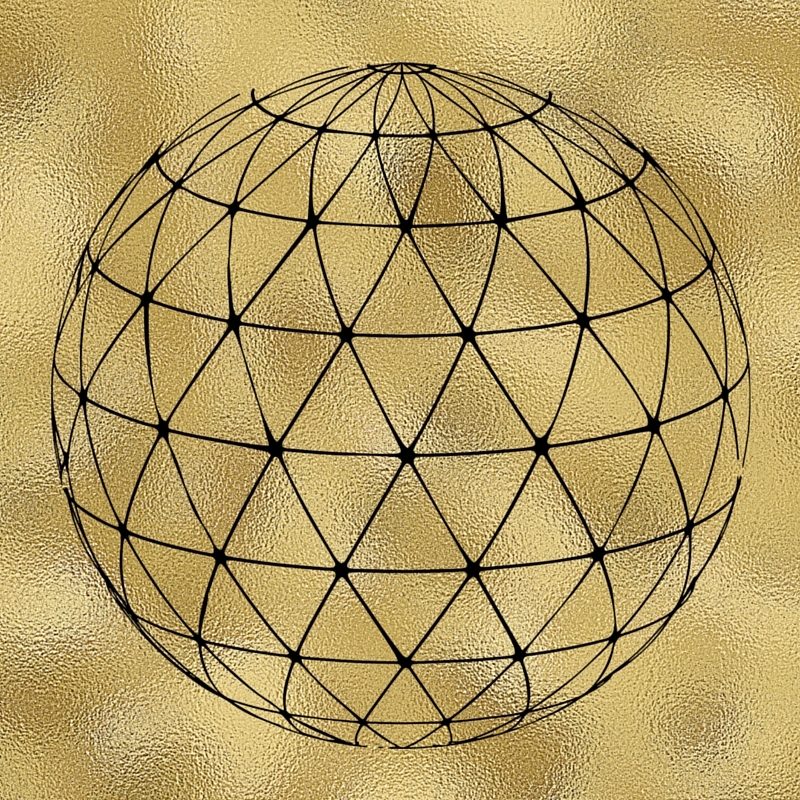 The sacred symbol that presented itself for the base chakra was the diamond, spherical grid. 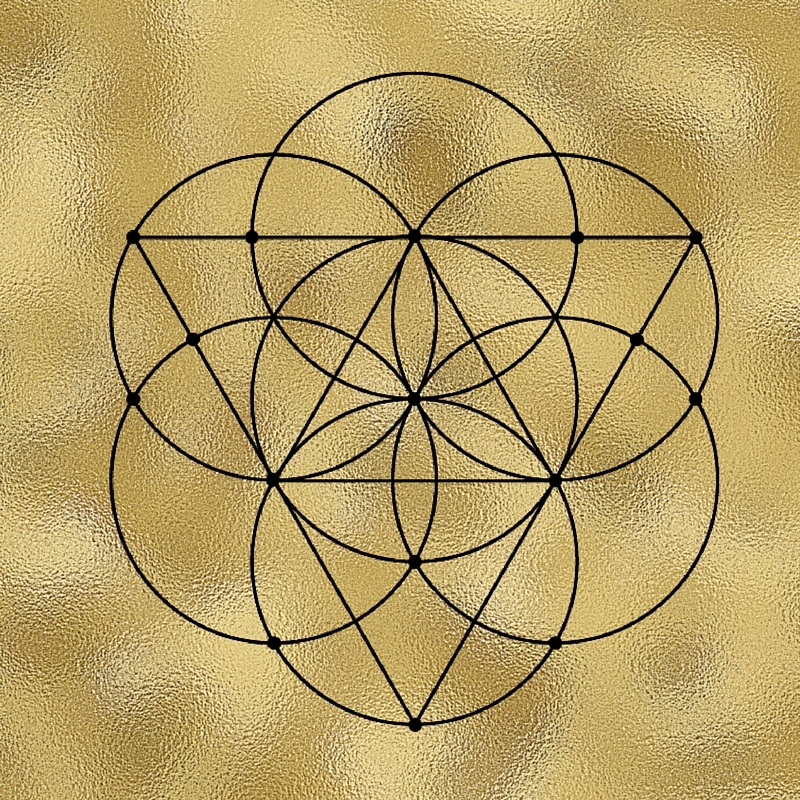 This appeared as a grid that covers the earth and is magnetic, intelligent, ancient and alchemical. The diamonds are made of two triangles, one triangle represents the Divine in matter or physical form, the other represents the Divine in universal and boundless form. I saw that each of us has our own individual grid, however very few of us have really connected to it, activated it or fully use it to inform our day to day lives and our walk. This is the invitation that is being extended now. Make a connection to this grid in a way that feels solid and strong, let its wisdom enlighten and inform you. By doing this you link to your gifts of magnetism, physical presence and earthly abundance. The sacred symbol for the sacral chakra is the portal of life. It shows two elements that interact and merge with each other to create a third. It's the way that all life begins and multiplies. The larger circle is a container or holding space for this interaction to take place. This is a profoundly elegant blueprint that represents the act of creation. The sacral chakra is the energy you use to create things, to relate to things and to dance with things, it is also the energy that gives rise to the feelings and emotions that bubble up from your relationships. As you meditate on the symbol, think of the things you would like to merge your energy and life force with. What would you like to create, to bring to life or to innovate? Let the symbol of the portal of life act as a template that gives you deeper insight into your own creations. For the Solar Plexus Chakra the Sri Yantra, which is used as a buddhist mandala, came up. 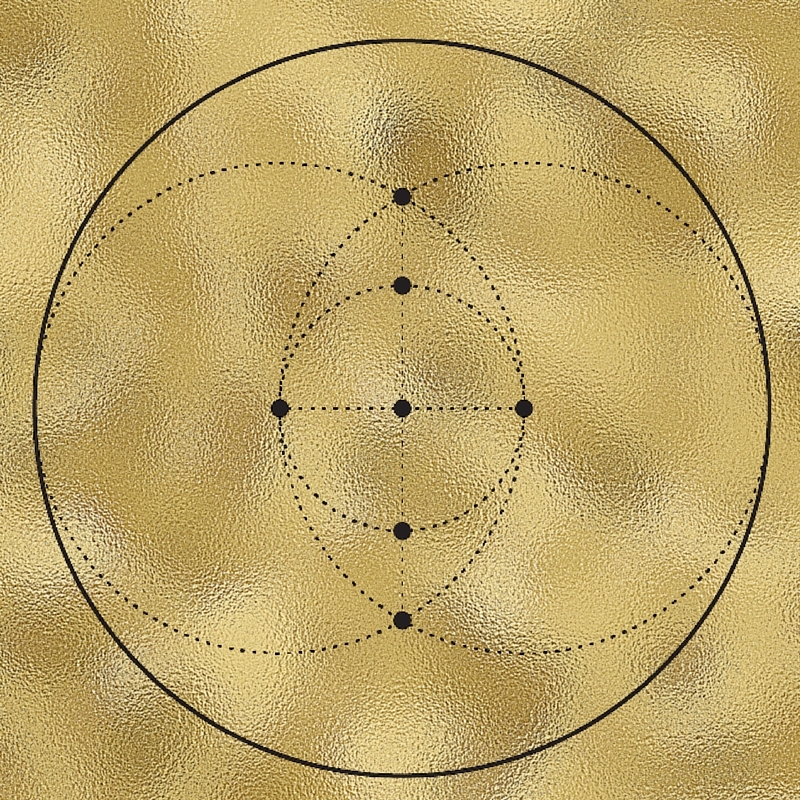 This is a symbol that unifies the male and female energies present within our physical identity and personal power. Creating harmony between our yin and yang expression, between thought and action, between stillness and movement, between expression and contemplation, between light and shadow. The downward triangles plug us into our physical divinity and the upward triangles expand us into our universal divinity. There is a balancing of opposing forces represented here. As you meditate on this symbol, feel the energy within you that is asking to be returned to its natural state of harmony, peace and well being. Use this template to help you centre yourself. 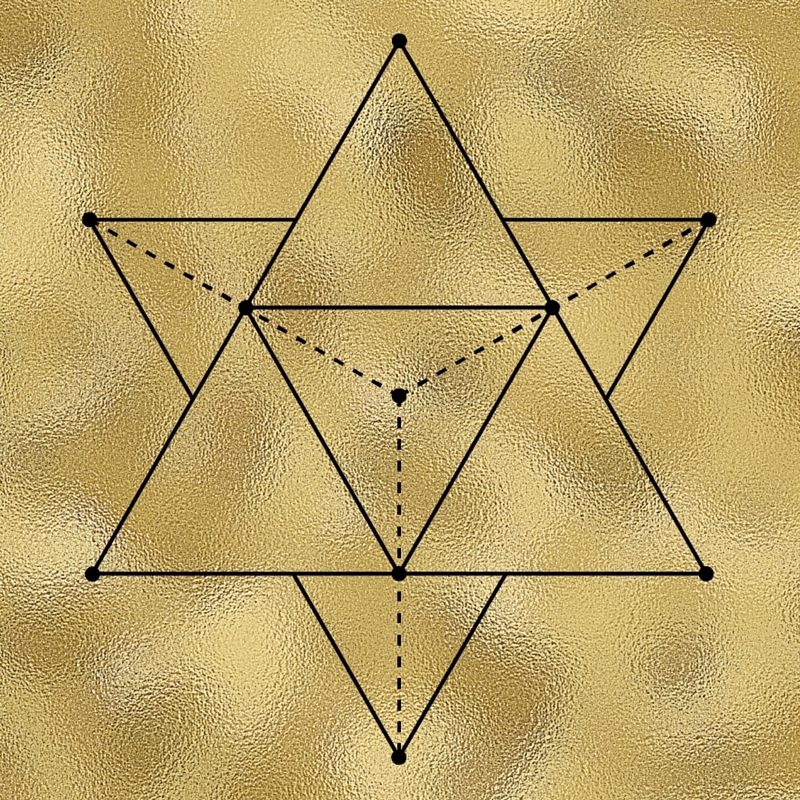 The sacred symbol of the heart is the three dimensional six point star. The heart is the doorway that unlocks the flow of energy from the universal aspect of the Divine to your physical body and interactions, bringing expansiveness and it allows your physical being to tap into the matter or physical aspect of the Divine, bringing magnetism and focused intention. This symbol has one triangle pointing upward to source and another triangle pointing downward to the earth. These triangles overlap in complete harmony which allows unity between your own expansion and personal expression. The heart chakra is the energy centre that allows for generous, abundant giving and gracious appreciative receiving. Meditate on this symbol in the heart to invite a graceful and ease filled flow of energy toward anything you would like to open yourself to share with the world or to receive from the world. This symbol of the Throat Chakra is a mixture of a multi- faceted triangle and the seed of life. The larger triangle points downward and at its centre there is another triangle that points upward. This is a template for communication, where words can vibrate outward to form matter, but these words find their seed in spirit, air and ether. The seed of life is the seed of all creation and in this case is the seed of sacred communication. 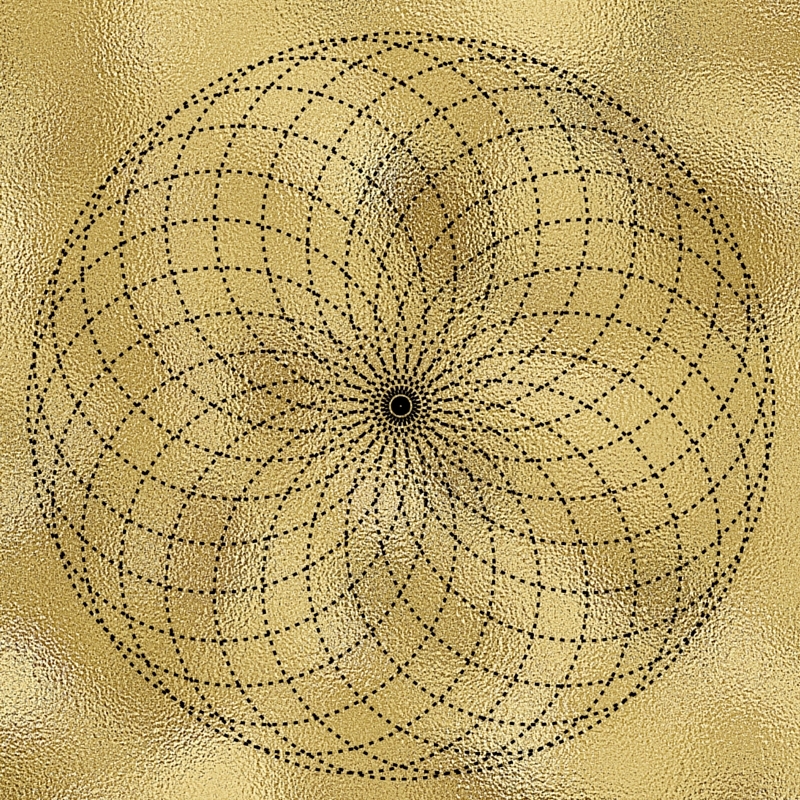 In sacred geometry circles are feminine and are the containers and space for expression, lines are masculine and are concentrated, focused and direct. This symbol in your throat will help your words flow with grace and elegance, while still being able to hit their mark and be quite direct in their delivery. Meditate on this symbol to gain clarity, resonance and harmony in your words and expression. 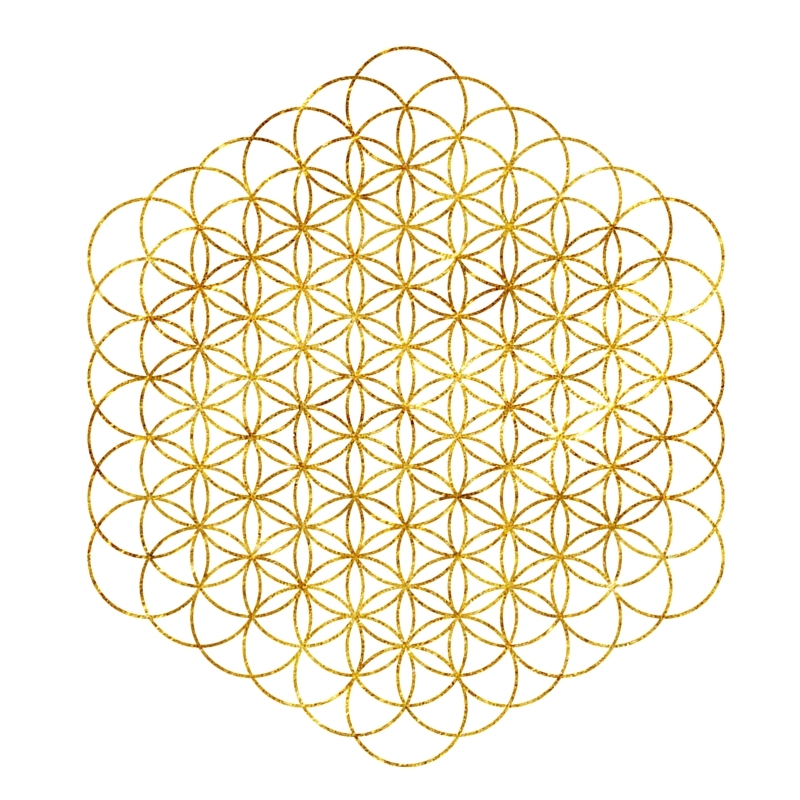 The Flower of Life is a geometric symbol that is the blueprint for all of creation. It's a three dimensional cube, ( it can take a while to see this), that holds every other creative map within it. The seed of life, the fruit of life, Metatrons Cube, the Tree of Life in the Kabbalah, every other three dimensional geometric shape can be found here. As a template to overlay the pineal gland, it acts as an infinite fountain of knowledge and wisdom that it allows the third eye to receive, express and use. Meditate on this symbol to help you gain clarity in your vision, in your intuitive senses, in your ability to cut through to the truth of what is. In my experience this is a very powerful template to activate within you. Older PostIn Complete & Utter Honour Of You!